Los Angeles, CA – September 21, 2015 – (GuitarPR) – Thimble Slide, the creator of the patented, size-adjustable guitar mini-slide, has created an innovative array of Reseller Rewards as they enter the final week of their Kickstarter funding drive. Resellers who pledge their support by end-of-day September 25, 2015, will not only receive retail-ready, clamshell packaged inventory of Thimble Slides, but a head start advantage in the market – selling the slide ahead of distribution. 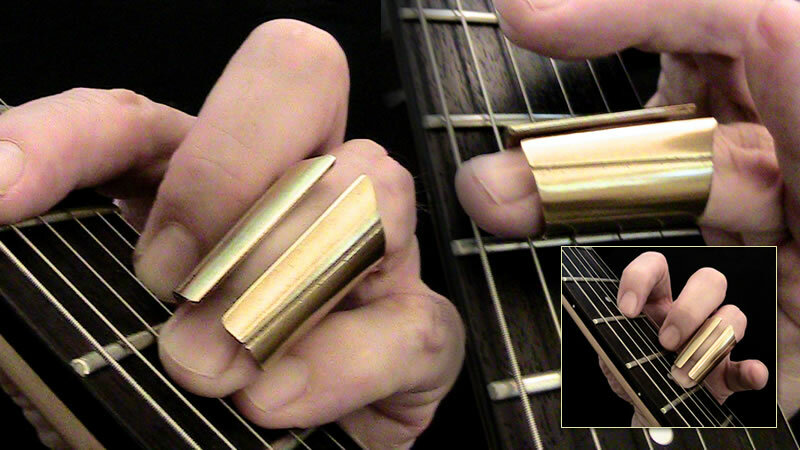 The Thimble Slide is a new kind of guitar slide. It allows the wearer to both slide when they want yet still fret the strings when they need to; a game-changing breakthrough in slides. The Thimble Slide has been manufactured by hand in backlogged, limited quantities for nearly three years. The Kickstarter funding program will propel the product’s distribution into the worldwide market with the addition of automated machining of the slides. Manufacturing will take place in the U.S and the process is ready to roll. While guitar players are encouraged to participate in the Kickstarter to receive their own slides, guitar-related resellers can choose rewards packages that include inventory from 6 to 500 slides in various sizes. Slides will ship in November, 2015, just in time for the holiday shopping season. Resellers, as well as players can take advantage of and profit from their Kickstarter rewards packages. But they must hurry as the program ends Friday, September 25 at 11pm PDT. Thimble Slide is manufactured by DHW Enterprises, Inc. in Los Angeles CA, USA and protected by Utility Patent 8399753. More information about the product and the company is available at http://thimbleslide.com.